Peer writing consultants across both UBC campuses to receive internationally recognized certification. Student writing consultants at UBC Okanagan and UBC Vancouver will now be approved for the College Reading and Learning Association’s International Tutor Training Program Certification (CRLA ITTPC). UBC Library’s recent acquisition of The Vancouver Weekly Herald and North Pacific News was featured on CBC radio. The interview begins at the 2 hour 50 sec mark. UBC Library’s recent acquisition of The Vancouver Weekly Herald and North Pacific News was featured in the Library Journal’s InfoDocket. 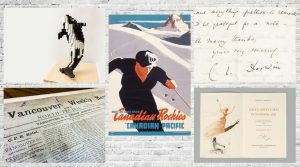 UBC Library’s recent acquisition of The Vancouver Weekly Herald and North Pacific News was featured in the Daily Hive. 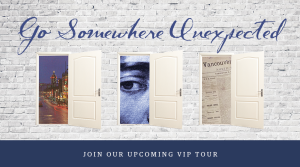 UBC Library’s recent acquisition of The Vancouver Weekly Herald and North Pacific News was featured in Vancouver is Awesome. 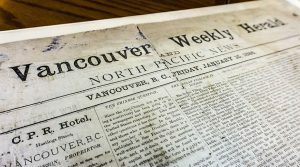 UBC Library’s recent acquisition of The Vancouver Weekly Herald and North Pacific News was featured in the Vancouver Sun.